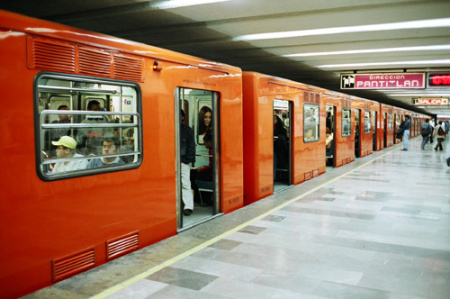 Line 12 of Mexico City’s Metro (subway) system was originally opened in October 2012. 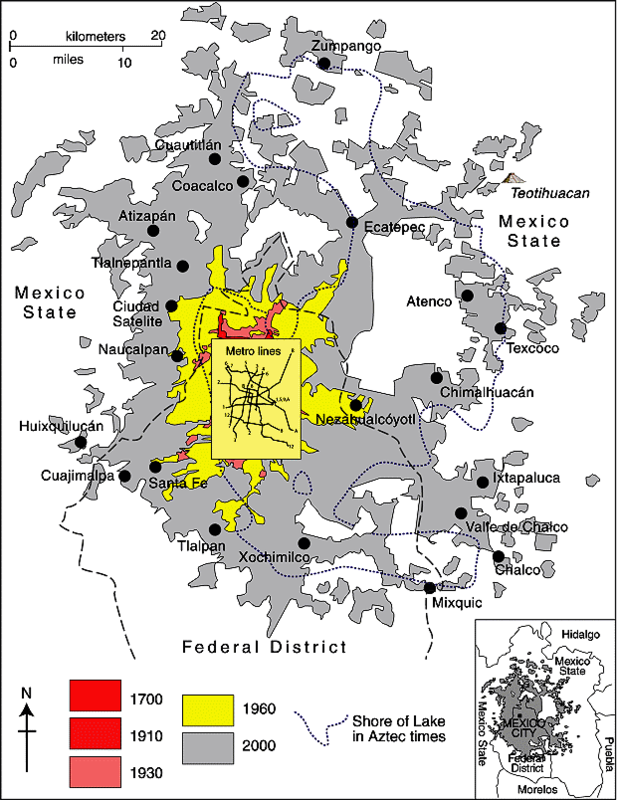 The new line, also known as the Golden Line, extended the city’s metro system into several lower income areas in the south-eastern part of the city, including Tlahuac, Milpa Alta, Xochimilco and Iztapalapa. However, in March 2014, the elevated (above ground) 14-kilometer-long (9 mi) southern section of this line between Tlahuac and Atlalilco stations was closed for emergency repairs. A replacement bus system was established between those stations. According to a report in the Mexico City daily Reforma (citing a study by ILF Consulting Engineers), the design of tracks in that section had resulted in damage to the wheels of several metro trains. It also resulted in the failure of an electric cable and caused cracks and fractures in the track supports. Authorities have blamed some former city officials, together with the line’s builders, a consortium comprised of France’s Alstom and the Mexican companies ICA and Carso. Metro Line 12 was finally fully reopened 20 months later, on 29 November, 2015. Line 12 is the longest line in the city’s metro network,extending 25 km (15.5 miles), with 20 stations, including four transfer points. In terms of network connectivity, it added an important east-west link connecting four lines that serve the southern section of the metro area. Line 12 runs from Mixcoac (Line 7) to Tlahuac in the southeast of Mexico City, intersecting with line 3 at Zapata, line 2 at Ermita and line 8 at Atlalilco. Officials estimate that the line, which has both underground and overground sections, eliminates 860 buses from the city’s congested streets, reducing carbon dioxide emissions by 22,000 metric tons a year. It cost about $1.8 billion to construct. Between 400,000 and 450,000 passengers are now expected to use Line 12 daily. It is expected to cut the average daily commuting time from those parts of the city it serves by more than an hour a day, from 150 minutes to 78 minutes. The line is only accessible by using the new metropolitan smart transport card “Tarjeta DF”. 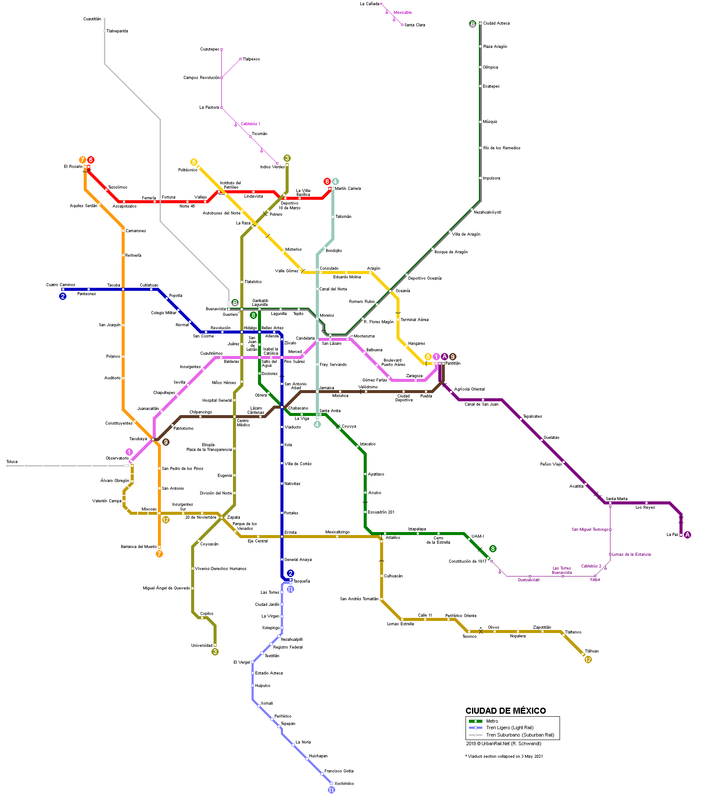 The complete network of 12 lines comprising Mexico City’s metro system, used by more than 5 million passengers a day, now has 195 stations and a total length of about 227 km (141 miles). Will the line eventually be extended? 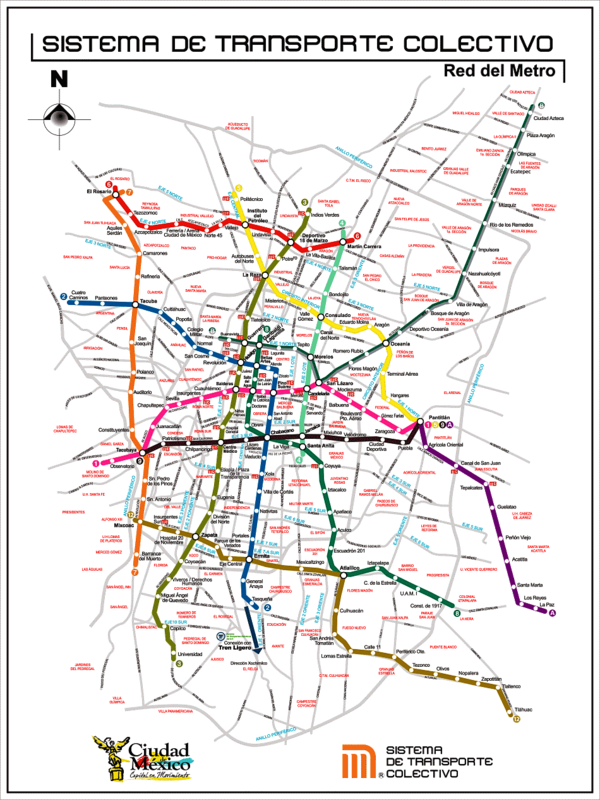 In January 2013, officials of Mexico City’s Metro system (Sistema de Transporte Colectivo, STC) announced that they were considering extending Line 12 westwards into the Álvaro Obregón district of the city. This is still being talked about. STC’s Managing Director Joel Ortega Cuevas also said that an analysis was needed of the viability of extending the Metro network to reach several major commuting routes in the State of México (see map), including Ecatepec-Coacalco-Zumpango; Chalco-Ixtapaluca; Naucalpan-Tlalnepantla-Cuautitlán; Atizapan-Naucalpan and Chimalhuacan-Nezahualcóyotl. Con todo respeto a los planeadores, por que no hacen la ruta morada mejor parte de la amarilla y usar el morado para la linea que va de Mixcoac a Tlahuac.